United suffered their first defeat of the season at the hands of bitter rivals Liverpool this afternoon, after a poor display hat was certainly lacking in the midfield department. Hopefully the performance will inspire David Moyes to dip into the transfer market before the window slams shut tomorrow night. United started brightly with Young and Evra playing a 1-2 down the line. The cross was over hit to Giggs who had time but could only cross for Mignolet to gather. The deadlock was broken after just 4 minutes. Ashley Young gave the ball straight too Sturridge in a great position but he could only force a corner. The corner was whipped in and Agger managed to lose Ferdinand and power a header towards goal. Sturridge was stood on the line and helped the header on into the net from close range. Poor marking from United who had Cleverley and Evra on the line with Sturridge but neither reacted, leaving the Liverpool striker unchallenged to score. United’s response was decent with players pushing forward winning free kicks and corners. A Giggs free kick from the right resulted in RVP with a speculative overhead kick over the bar. The game was very open with half chances for both teams. Coutinho had a decent effort wide from the edge of the area. Welbeck, with a similiar shot shortly after, forced Mignolet into a save. United best chance came from a Giggs corner. Webeck missed his kick and RVP, usually so sharp, wasn’t on his toes and could only stick out a leg. Half a yard closer to him and he would have had a tap in. Liverpool looked up for the game winning much of the second balls. Michael Carrick was the guilty party quite a few times after letting the ball bounce in the United half and some players looked shaken up from Liverpool’s great start. United began to gain more possession and it took a Good challenge from Glen Johnson to deny RVP after good work by Welbeck in the middle. United were lacking bodies going forward with Welbeck and RVP being crowded out every time we got the ball into the final third. The lack of a creative attacking midfielder was telling and the away side’s 4-4-2 setup was leaving them with a man short in midfield against Liverpool’s dynamic 4-3-3 formation. We were noticeably missing the presence of Rooney. With the advantage of a goal lead, every time United got the ball Liverpool were content to sit and wait to hit on the break. Uniteds midfield provided no penetration and the trio of Giggs, Carrick and Cleverley were sitting deeper and deeper. Steven Gerrard already had one decent free kick saved by Dea Gea, a Cleverley yellow card gave him another opportunity in a dangerous area. However, Coutinho took the free kick that sailed harmlessly over the bar. Phil Jones picked up an injury and was subbed in the 37th minute for Valencia. This was a slightly more attacking option from Moyes who had the option of Smalling on the bench too. RVP found some rare space on the pitch but was crowded out by Lucas and Agger when trying to beat both players. The Dutchman was clearly frustrated with his lack of involvement and left his foot in from Agger’s clearance and picked up a yellow card for his troubles. Another decent chance followed with United finally spreading the play from one wing to another. Young’s cross was too high for Welbeck and Liverpool cleared. Andre Marriner had began the half well, keeping the booking to a minmum, but towards the end of the second half he was giving cards for almost every challenge. It was as i feared and i could definitely see a red card emerging at some point in the game. The introduction of Valencia gave United more of a threat from the right hand side of the pitch. This maybe showed a glimmer of hope for the second half after a terrible first half from United. United started brightly in the second half, winning a corner, wasted by Young clearing everyone and out for a goal kick. Carrick on thin ice giving away another free kick, the geordie is already booked and received what seemed to be a final warning from the referee. Valencia good play again getting the ball too RVP whos shot was blocked for a corner. Young hits the corner too hard again but Giggs wins one on the other side. Poorly cleared to Young whos volley was blocked by Skrtel. Much much better from United in the second half. Another corner after good work from Giggs and Valencia on the right wing. United bossed possession in the first 10 minutes, but sloppy passes from Valencia and Carrick kept breaking down moves. Liverpool were all over the place and clearly didn’t expect such a strong response from United after the break. However, with it being Uniteds best spell in the game they needed to strike whilst the iron was hot. Welbeck had a half hearted penalty appeal turned down after nothing more than a coming together in the box. The travelling away support were in great voice drowning out the Liverpool fans with chants of “Come on David Moyes”. United continued to pick up the bookings with a cynical pull back from Ashley Young. Aspas was replaced by Sterling in the 60th minute in a seemingly attacking move by Rodgers. United whirlwind start slowed down and Ashley Young was replaced by Nani in the 63rd minute. Hopefully the Portugese lad could show some of his pre-season form and create an opening for United. Liverpool began to get a foot hold in the half with the game getting more stretched and gaps opening up on the pitch. Cleverley was incredibly frustrating in midfield, dwelling on the ball whilst having opportunities to play the ball forward when team mates were making good runs. United best chance came from a Nani corner, Giggs got his head to the ball but the header went straight to Mignolet. United tempo seemed to drop completely with Liverpool looking much hungrier and pressing the ball all over the pitch. United needed something to change the game and Moyes rolled the dice replacing Giggs with Hernandez in the 73rd minute. This substitute changed United’s shape with Hernandez stretching the back four and RVP dropping deeper to play in the whole. Nani suddenly came to life with a thunderbolt from Nani saved well by Mignolet. The rebound was picked up by Valencia who drilled the ball in but Liverpool managed to clear their lines. More half chances followed with Nani and Hernandez taking shots from the edge of the area. Liverpool were defending well and restricting United to efforts from outside the box all game. Liverpool made their final change in the 84th minute with Alberto coming on for Coutinho in an effort to see the game out and wrap up the points. United had a golden chance late on with a free-kick from the right but Nani wasted it by overhitting the ball over everyone. The set piece was tailor made for RVP to swing into the area with pace, why he allowed Nani to tell him to get in the box and he would take the kick is beyond me. The final chance of the game fell to RVP after a lovely through ball by Hernandez, the Dutchman sliced his right footed shot wide as he hit the ball on the stretch. When United gained a free-kick in an almost identical position to the one Nani wasted RVP wasnt going to let him have it again. The free kick was better but cleared by Liverpool again. United didn manage to create anything further in the last 5 minutes of ‘Moyesy time’, this wasnt helped by the referee giving so many soft free kicks to the home side. The final chance fell to Raheem Sterling, as United pushed forward looking for a goal they were caught on the break but his shot was well saved by De Gea. 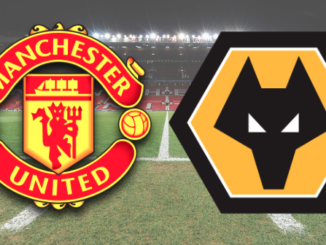 It really was a game of two halves, United had much of the better in the second half but that counts for nothing with nothing to show for their efforts. In my opinion the turning point was when Valencia came on, he seemed to give United a different dynamic going forward that we lacked throughout the game. Some uncharacterisitcally sloppy performances from the usually reliable Carrick, Vidic and Ferdinand really didnt help and i have to say, as much as it makes me sick, Liverpool probably deserved it with their first half performance. I am a life long United fan, loving and following everything red. 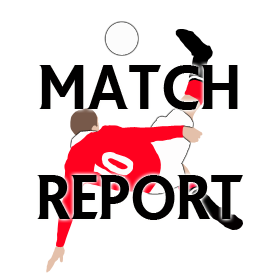 I've recently joined the OTF team writing match previews and reports. This is a hobby i have taken up which i thoroughly enjoy.